June | 2013 | Building Solutions. Finding Your Style: PART II of III. As you begin your search for seating options, you need to consider what your church is really trying to accomplish? Who are you? Understanding your worship style – (a) permanent, (b) flexible or (c) transitional – will in turn help you easily identify exactly what type of seating is needed to enhance the effectiveness of your church’s ministry. In a permanent worship style, congregations gather on a weekly basis for services in a sanctuary that is considered to some degree to be set apart. Often high ceilings, spacious walls and lots of sight lines often characterize the church building. These features in turn enhance the personal space felt by each guest. There is little movement from week-to-week in seating configurations that form pew-like or seamless rows. Ideally chairs should have a frame width of 20-22 inches, seamless plush foam cushioning and oversized backs that give a pew-like or continuous seating appearance. The function of portability is appreciated in chairs, but is not the determining factor. In a flexible worship style, congregations typically gather in multi-purpose rooms. 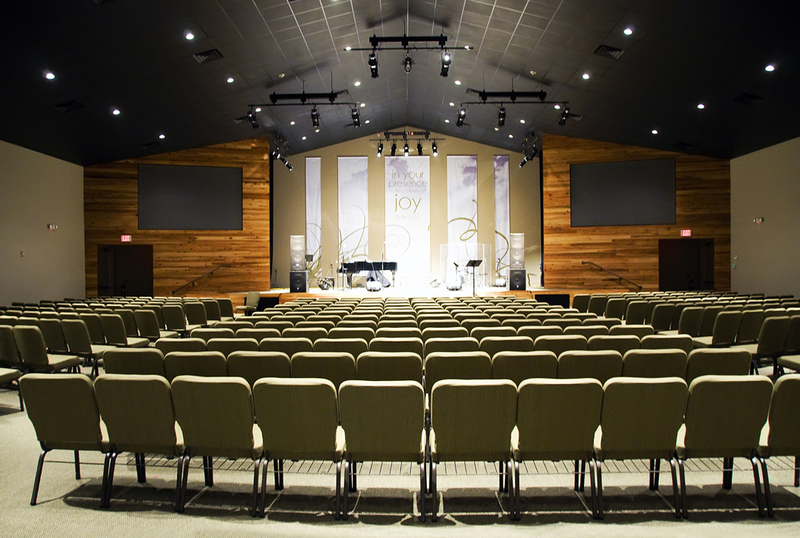 Sometimes these converted buildings – places like large warehouses or commercial spaces – do not resemble anything like what has traditionally been considered a “church.” While chairs are placed in rows for either part of a worship service or for its entirety, they will just as frequently be used in conjunction with tables. Fellowship is a very important aspect of church-life for this style, rather than one single person preaching / teaching from the front. In this style, churches are less concerned about tradition and formality and rather aim to create spaces that are inviting and friendly. Ideally chairs would include a frame width of 18-19 inches, rolled seat cushions, a more upright back angle and weigh 15-17 pounds. The weight of each chair is a factor, as the volunteers who move the chairs are often youth or seniors. Storage is normally not a large issue, but chairs must be able to stack and move easily. Pews would not be an option. In a transitional worship style, churches might gather in a shared multi-purpose facility like a school gym. These spaces will be used for one function, only to be transformed into something else very quickly. In efforts to utilize space and stretch budgets, a church’s main meeting area is re-configured frequently on a weekly basis, sometimes even daily. Ideally chairs should be lightweight (less than 15 pounds) and feature an ergonomic design for comfort. Because these chairs are stored frequently, it is important that they can be set up and stacked quickly and with ease, taking up minimal storage space. It’s crucial to remember that as you discuss and define your church’s worship style, the conversation should not be limited to a few boards or committees. Rather, it should include a broad range of ideas and insights from staff to members to church volunteers. Check out our next blog to continue learning about your worship style! Finding Your Style: PART I of III. Deciding on sanctuary seating that balances form and function can be a task that at first glance seems like it would be the easiest part of a building project. 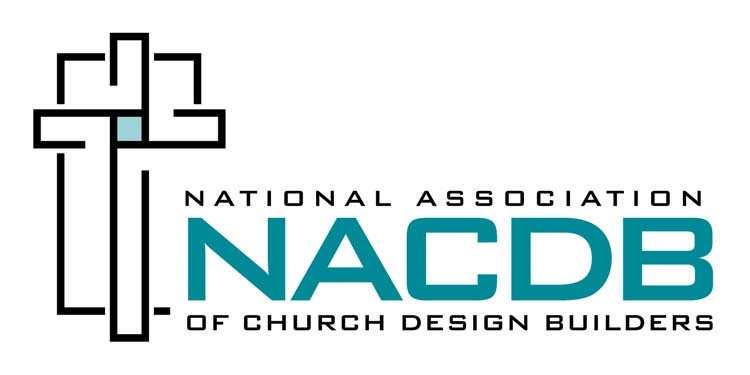 But anyone who has ever sat on a church chair selection committee knows there’s a lot more to seating than meets the eye and that the process can be stressful. Most people, who have never even thought about chairs, now find themselves involved in making a significant financial investment that will affect their congregation Sunday after Sunday for years to come. The job can be overwhelming. So where do you begin? How can you be assured your choice will meet the needs of your church? 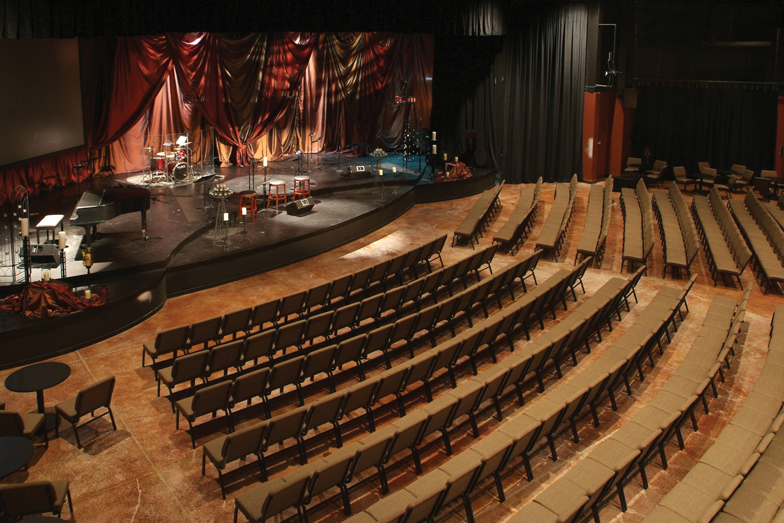 How do you navigate the seemingly endless decisions ranging from permanently installed theater-style seating to plastic chairs that stack in seconds? In the past, seating in churches was, more often than not, a basic pew that accommodated lots of people; it was something that was sturdy and unmovable.This is simply no longer the case. As churches have evolved, the forms in which congregations worship have also changed. Today, churches are far more inclusive and reflective of personal styles and individual preferences. How a congregation gathers can look considerably different in another church only a few blocks away.